I went to visit my mom and we made the most delicious spinach, onion, and aged cheddar fritata with eggs fresh from my aunt Betsy's hens up in Malibu. 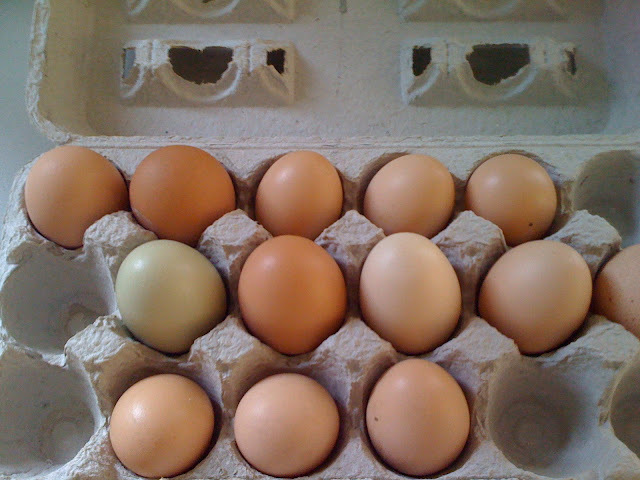 The eggs were not only delicious but look at the colors and sizes. It makes me a little sad I don't have my chickens anymore.